Prune tree branches and limbs that extend over the home prior to the winter season. Large windy storms can cause tree branches to break off which can damage the roof, gutters, and side of your home. Snow storms can also accumulate heavy amounts of snow on large branches causing them to break and fall on your home. It is a safety precaution for both your family and your home to cut down dangers trees branches prior to the storm season. You should cut any tree branches that are extending over the home. If the diameter of a branch is six inches or larger, you will probably need a chain saw. Be extra cautious when using a chain saw reading the instructions and wearing safety goggles. It is best practice to cut each branch half way for both the top and bottom direction. 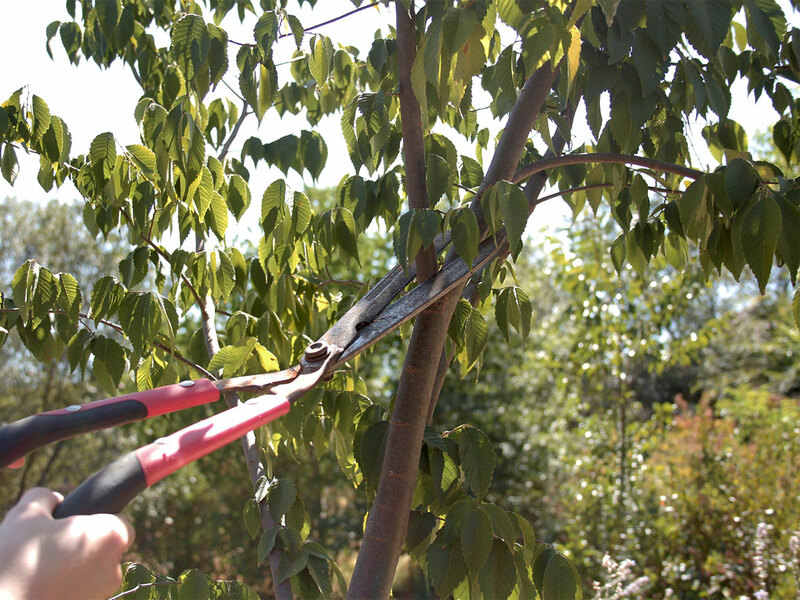 If there are taller branches that are not that thick, you can also use an extender with a string cutter to prune those. Here is a great overview video from The Home Depot.